Antonio Neri was a technical adept, a student of alchemical history and a glassmaker extraordinaire. He was also a gear in the Medici innovation machine. The glass recipes he developed were likely put to work in the glass shops sponsored by the ruling family in Florence, Pisa and elsewhere. Making advances in technology gave the region a competitive advantage; encouraging the arts cemented a reputation for creativity that endures to this day throughout Tuscany. 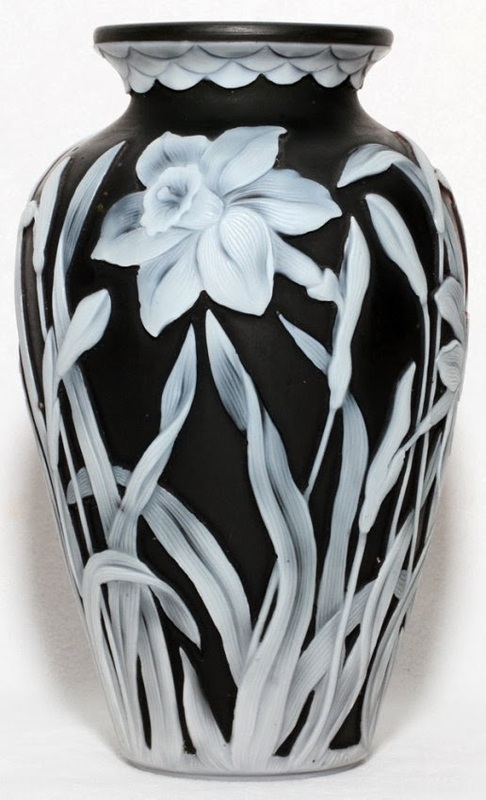 Black is one color that has given glassmakers difficulty ever since the material's invention over four thousand years ago. It is easily approximated for large, heavy objects, but to achieve a true solid black in blown vessels, or thin layers is a challenge even for current technology. Obsidian is a naturally occurring volcanic glass that was prized in antiquity, most often occurring in black or very dark brown. In prehistoric times, it was coveted for cutting tools and arrowheads. As technology advanced, it was ground and polished for mirrors. Later, obsidian became popular in ornamental objects ranging from dinner plates to jewelry. The production of obsidian, gemstones and other natural materials through artificial means was a quest that kept glassmakers busy. In many ways, making black glass shows the other side of challenges in making colorless crystal; instead of a formulation that will transmit virtually all the light falling on it, the aim is to produce a glass that will absorb virtually all illumination. In his book, L' Arte Vetraria, Neri presents three recipes for "velvet black" glass (# 51-53), and three recipes for black enamel (#100-102). His first black glass is made with the discarded broken pieces of "glass of many colors." To this, he adds 'zaffer,' a cobalt ore used to produce deep dark blue, and manganese, which produces a magenta color. He advises that it will be good for bead making cane and other work. For his second black glass, he starts with high quality frit to which he adds lead and tin oxides. This forms an opaque, white lead crystal, which he tints with calcined "steel" (probably bronze) and pulverized iron flake. He claims that after twelve hours "the glass will be a most beautiful velvety black." Neri's ultimate black glass is his simplest. He starts with his 'rocchetta' frit, and adds the dried, pulverized dregs left in red wine casks, advising us to go slowly since it froths up. He allows it to cook on the fire for four full days, and finally "washes" the glass by flinging a ladle-full at a time into clean cold water. He then re-melts it; "You will have a black fit for any job and more marvelous than all the other blacks of which I have written." * This post first appeared here on 8 November 2013.